I´m loking for getting changes in folders of folder into bookmark bar between op and yandex. and then I use xmarks of tandex to update my start page in yandex and then IE... I´m looking fot a triangule sync machine. RE: why I can not update my win7 starter ed. in a netbook using windows update? thanks @blackbird71 for your answer, yes, I mean that, the updater spent a lot of time and the netbook go off to sleep. I not have autoupdate so I decided what item install. I don´t think upgrade to win 10 and never got the note to upgrade. When you write "I left a lot of time doing updating even the netbook sleeps waiting for the update", if you mean that once you start the Windows Update process, the updater seems to go dead and never gets to a listing of available updates (even after hours of waiting), that's become a common problem in recent months for most Windows 7 users. Either because Microsoft is so determined to push their new Windows 10 operating system to users and has altered their updater code or their update servers, or because of something else now in the operating system, most Windows 7 users are experiencing multi-hour delays before their updater finishes compiling and creating its list of available updates for their system. This has been a major and growing problem for most Windows 7 users over recent months. Those users report waiting anywhere from 30 minutes to 6 hours and more, simply for the updater to respond with its update list. Once/if a list does finally appear, the downloading and installation process generally takes the usual amount of time (far less than the terribly long time to currently create the list). why I can not update my win7 starter ed. in a netbook using windows update? in another win 7 professional ed. PC the windows update work fine every month..... the problem is in the netbook with win 7 starter ed. RE: Is there a way to know what programs are using my bandwidth of internet? RE: Is there a way to edit the url of en.wikipedia serch engine? 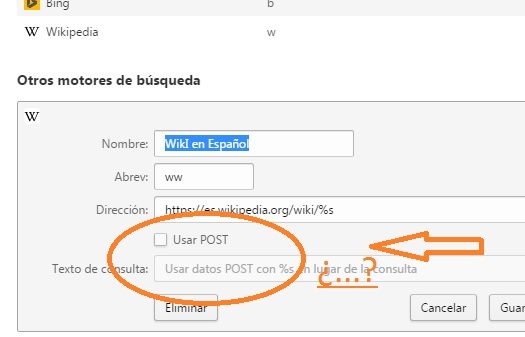 what is the meaning of "use post"? Can I delete some default search engines? Is there a way to edit the url of en.wikipedia serch engine? RE: Is there a way to get a copy.html from opera's bookmarks? Is there a way to get a copy.html from opera's bookmarks?